Imphal, April 11: The Lok Sabha Elections 2019 for Manipur's Outer Manipur constituency concluded on April 11. The polling percentage recorded in Manipur till 5 pm was 78.20%. This constituency has been reserved for the scheduled tribe (ST). Security was tightened in the respective constituency to ensure smooth polling during elections. The voting for Inner Manipur constituency will be held on April 18. Lok Sabha Elections 2019 Schedule: Voting In 7 Phases From April 11 to May 19, Counting And Results On May 23; Check All Dates For General Elections. The voting took place through Electronic Voting Machines and VVPAT machines at every polling booth. A total of 8 candidates are going to contest in Outer Manipur constituency. According to Election Commission of India 2009 data, the total electorates in the Outer Manipur Parliamentary constituency (constituency number 2) were 909,496. The Bhartiya Janata Party (BJP) has nominated Houlim Shokhopao Mate. K. James will be contesting from Congress. Angam Karung Kom is contesting from Nationalist Congress Party. The polling for Inner Manipur constituency will take place on April 18, 2019. The constituency number of this seat is PC no.1. A total of 11 candidates will contest in the Inner Manipur Parliamentary Constituency. The Indian National Congress has chosen Oinam Nabakishore Singh to compete for this General Election, 2019 while Dr Rajkumar Ranjan Singh will contest from BJP. The other key candidate of the Communist Party of India is Moirangthem Nara Singh. 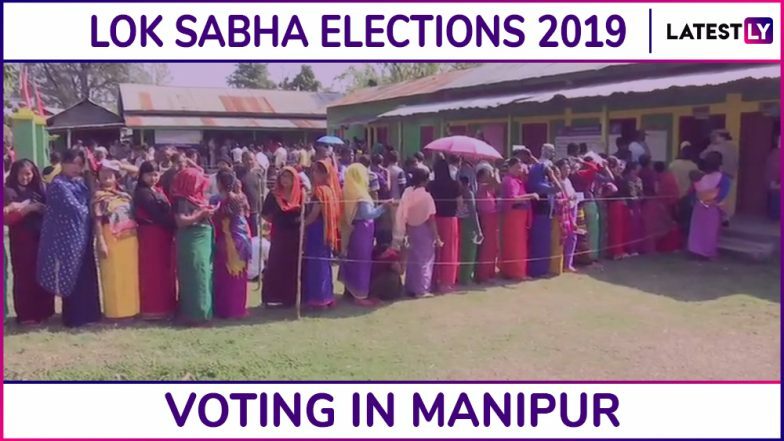 Inner Manipur Lok Sabha Constituency in Manipur: Candidates, Current MP, Polling Date And Election Results 2019. Voting for the Lok Sabha Elections 2019 will take place in seven phases. Constituencies in Assam, Bihar, Chhattisgarh, Jammu and Kashmir, Maharashtra, Odisha, Tripura, Uttar Pradesh and West Bengal will also go to the polls in the first phase. Polling will be held throughout the country starting today and go on till May 19, 2019. The result of the election will be declared on May 23, 2019. In Manipur, voting will take place in the first two phases. The counting of votes will take place on May 23.